One of my happiest collaborations has been with the hugely talented Jacqueline Medayle from the beautiful island of Salt Spring in Canada. We have worked on 2 designs together this year our exquisite aquamarine mala and onyx mala. Her attention to detail and creativity is an absolute delight; I’m looking forward to 2019 and new designs to share with you. 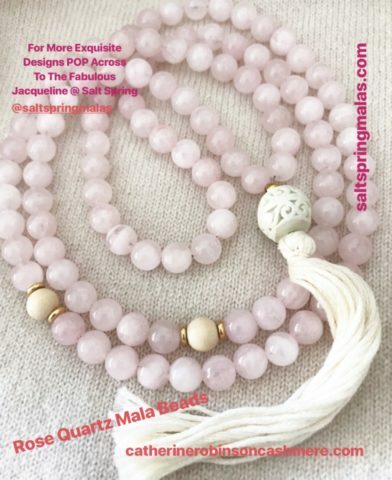 Please pop across to her website https://saltspringmalas.com/making-mala-beads/ to see her whole collection of mala beads and yoga jewellery. The delicate silver work on the lotus prayer box which opens and closes makes this such a special piece; I adore it. In Tibet people place prayers or pictures in them and wear them around their neck as a protective amulet. 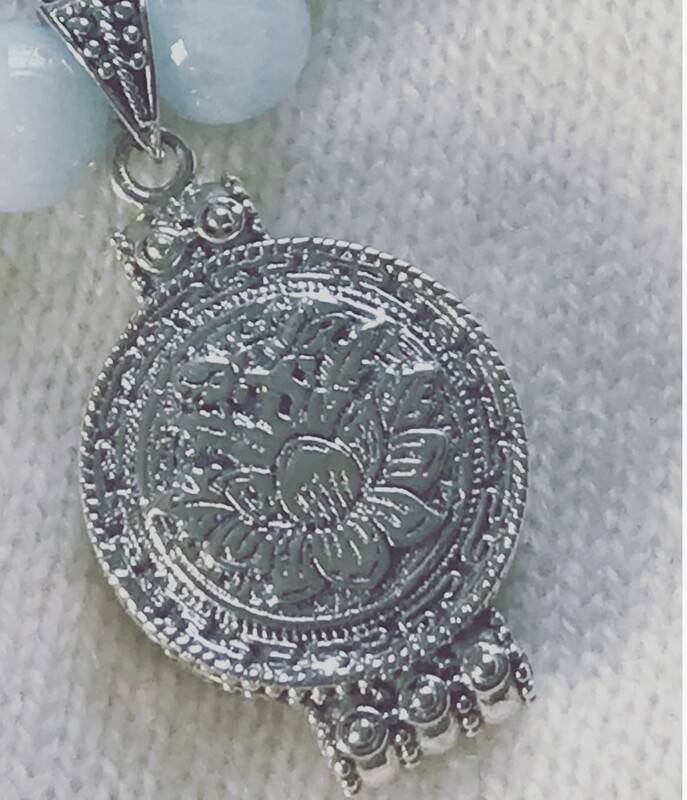 Alongside the aquamarine and onyx mala we have the pretty rose quartz and magnesite malas; if you’re a yogi like me, you may like to wear them during your meditation practice.